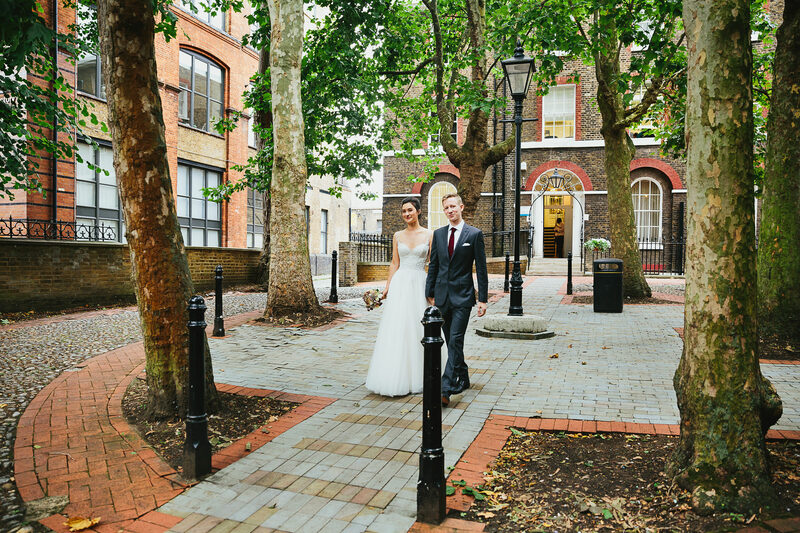 I love a Southwark Register Office wedding. 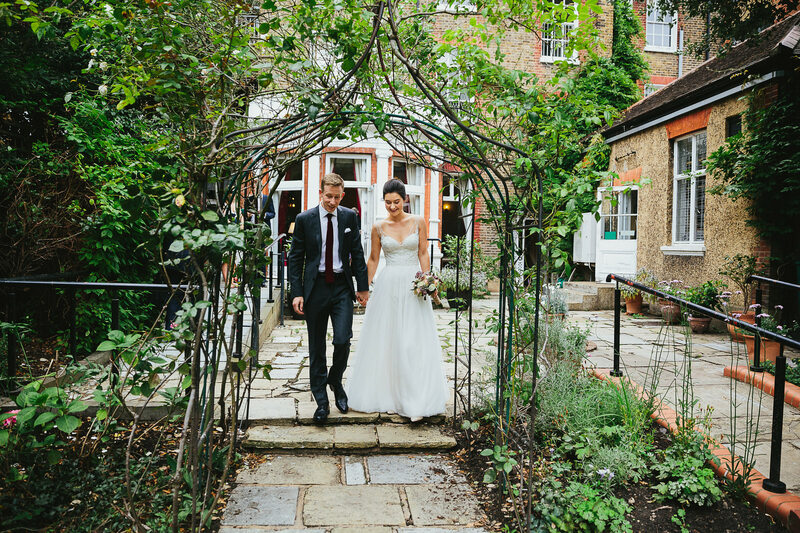 Southwark Register office is a pretty little Georgian House in Camberwell and it seems to attract relaxed couples who want an intimate wedding with a small amount of friends and family and I love photographing them. 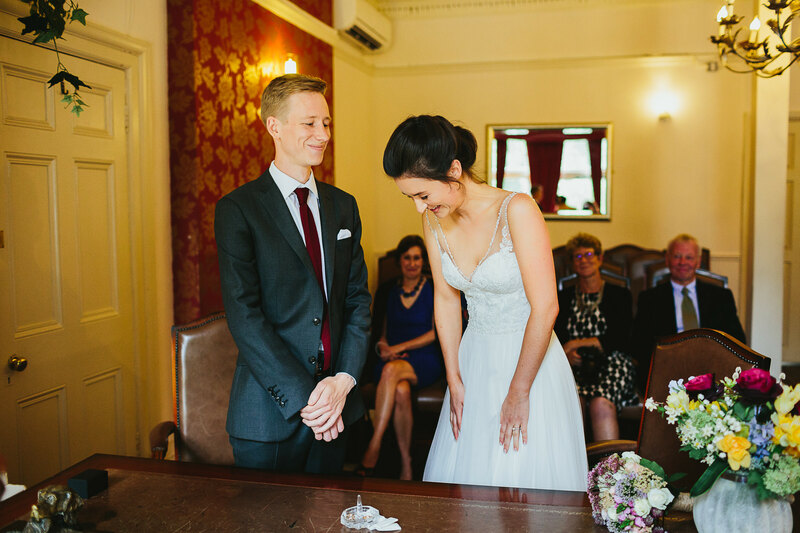 The registrars are so friendly and the couples love them. 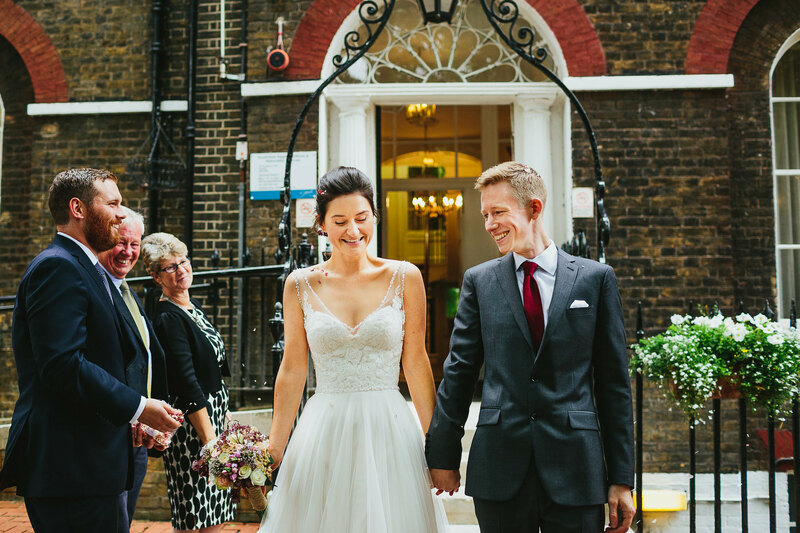 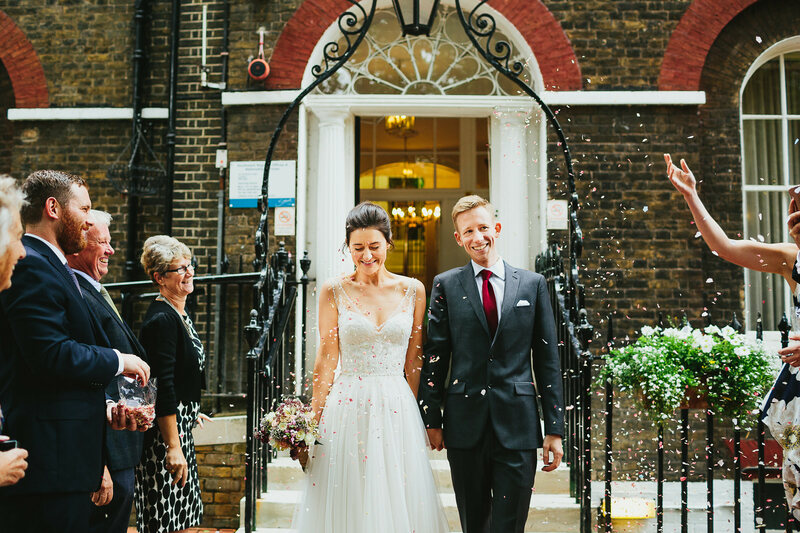 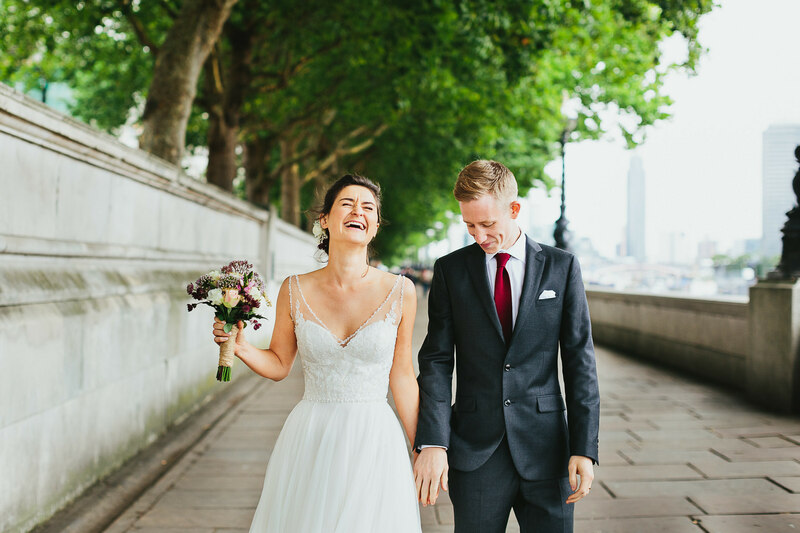 Helen and Simon got in touch for my elopement package, designed for small weddings with up to 4 guests (up to 10 more guests can be added for an extra fee). 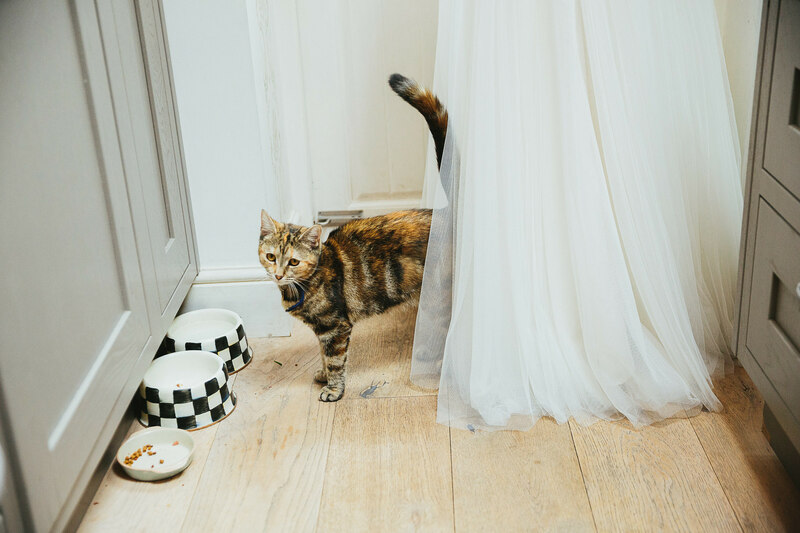 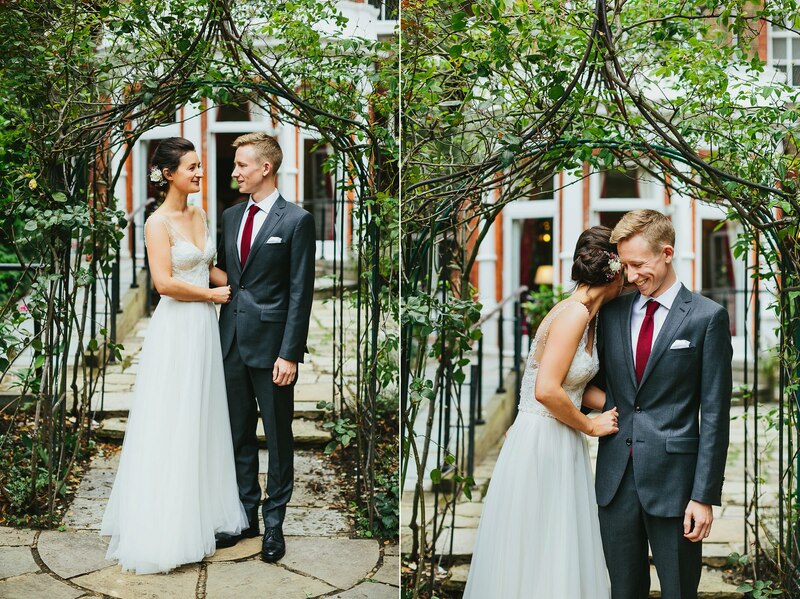 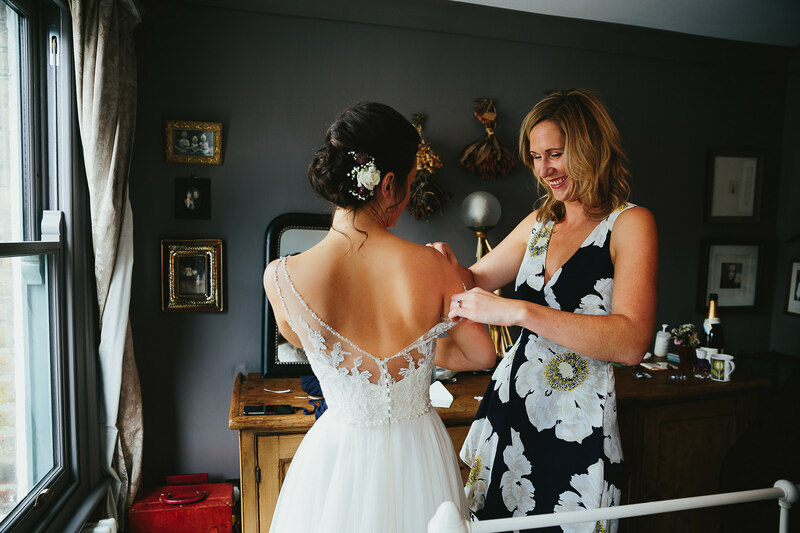 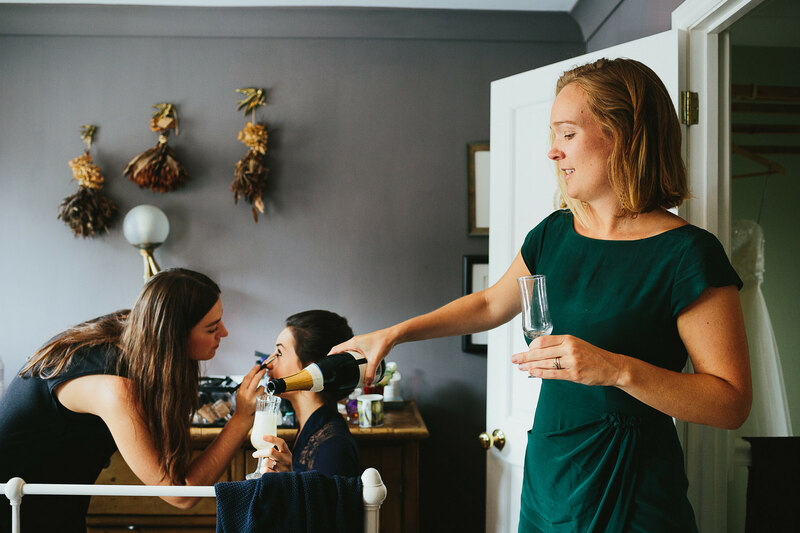 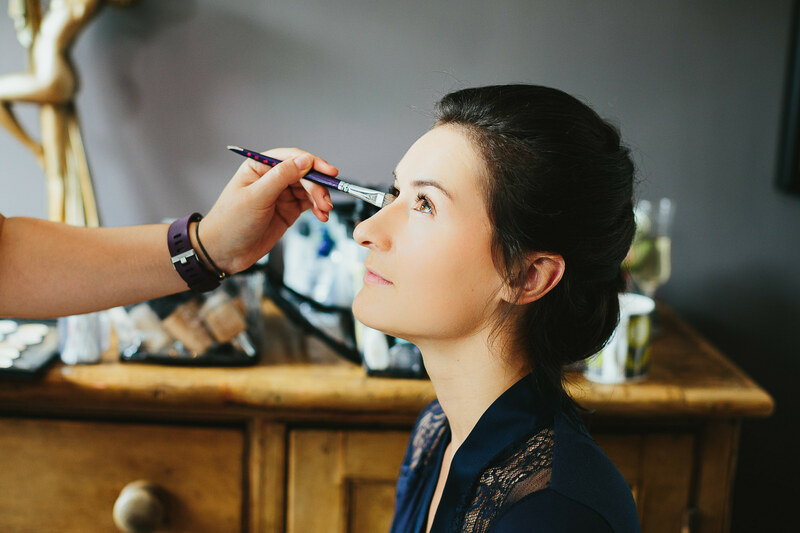 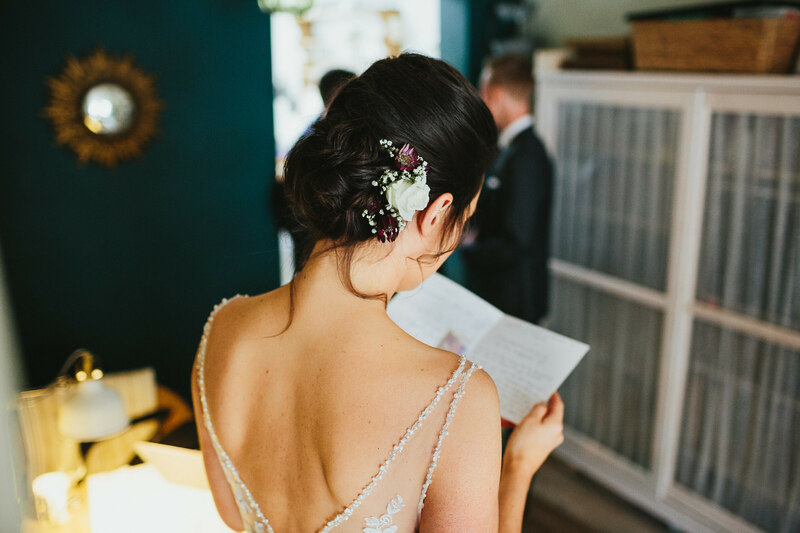 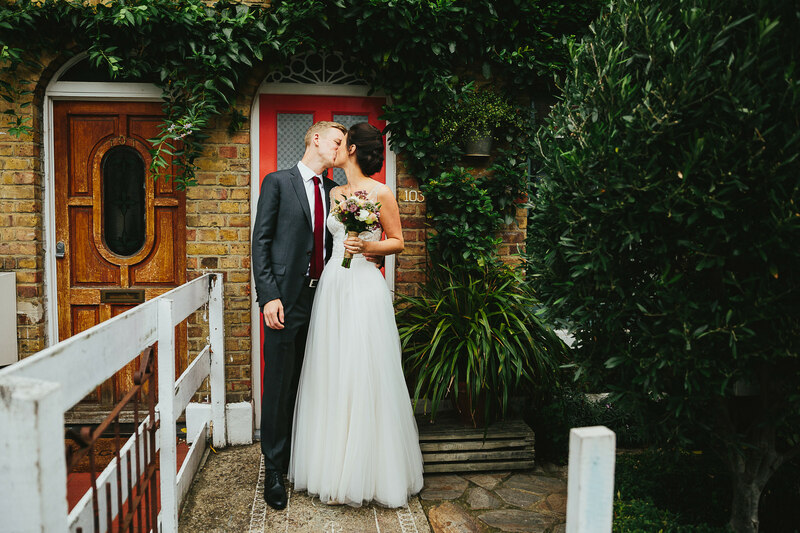 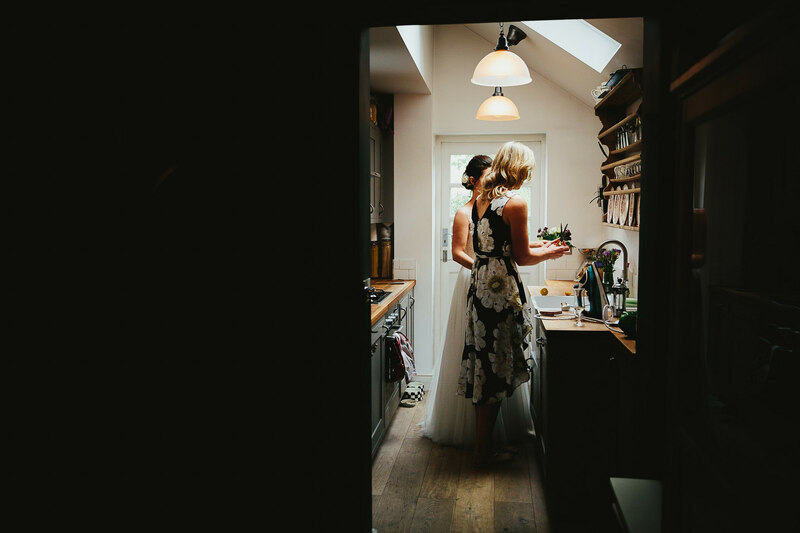 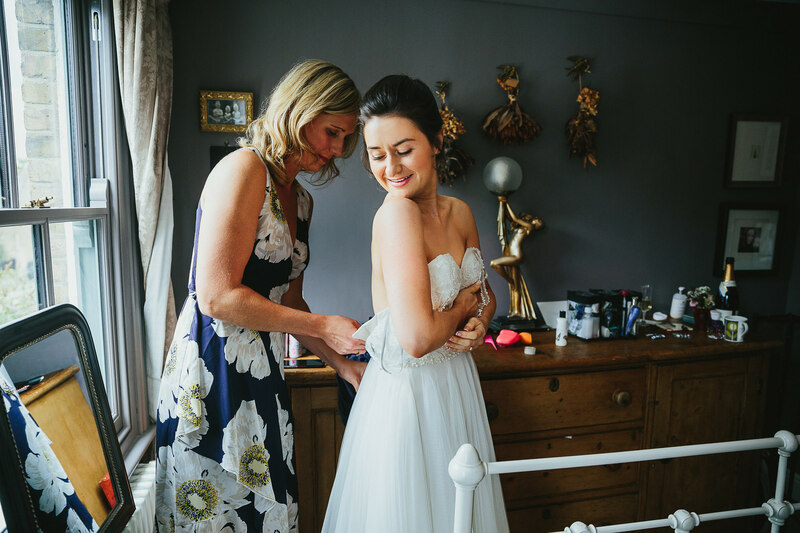 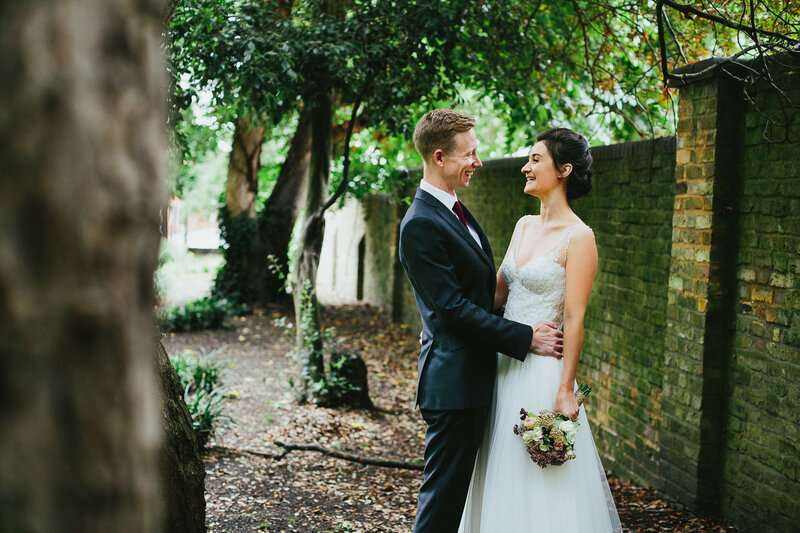 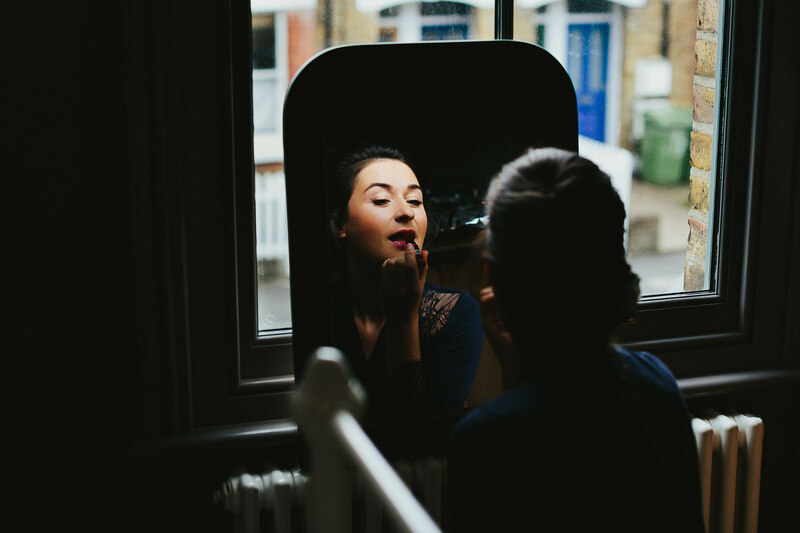 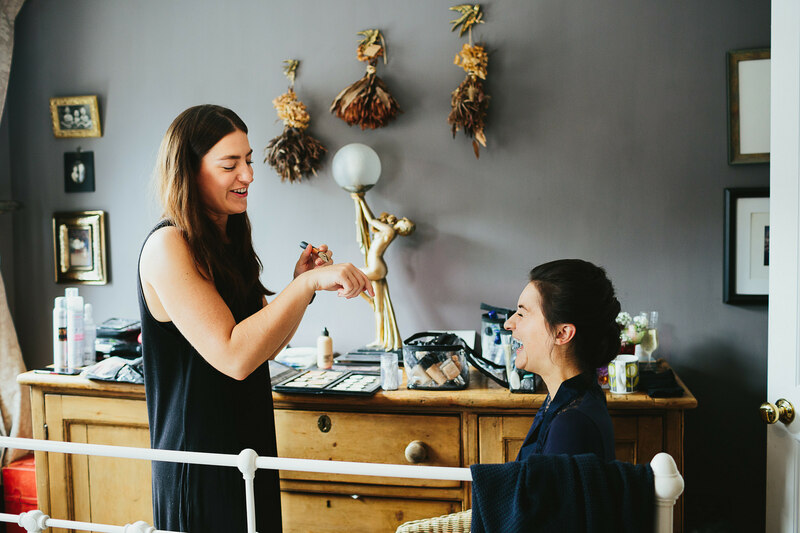 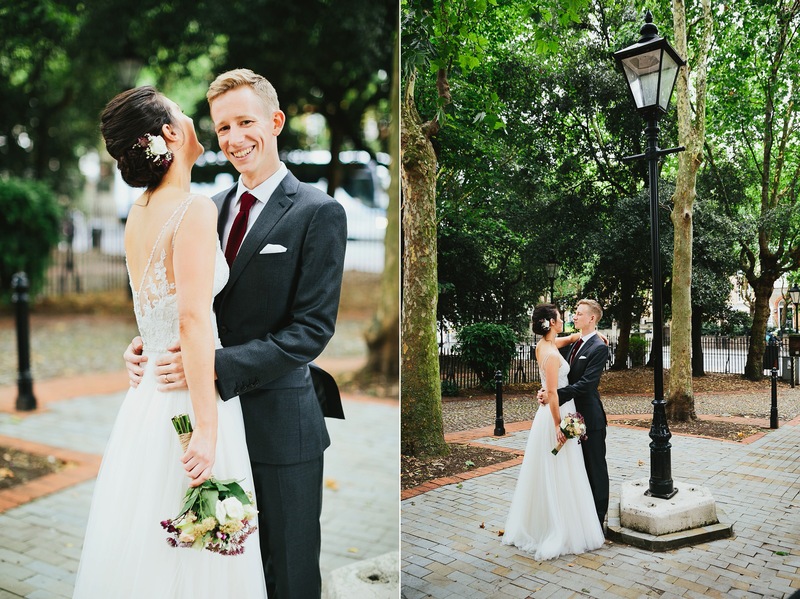 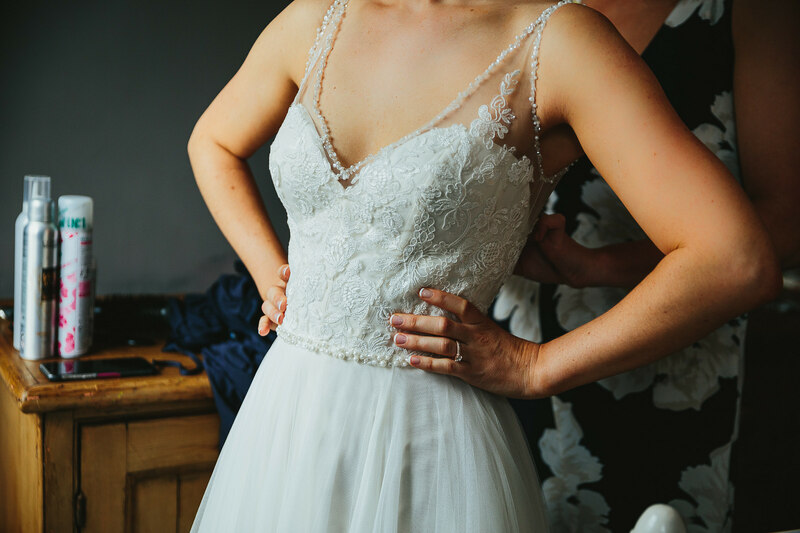 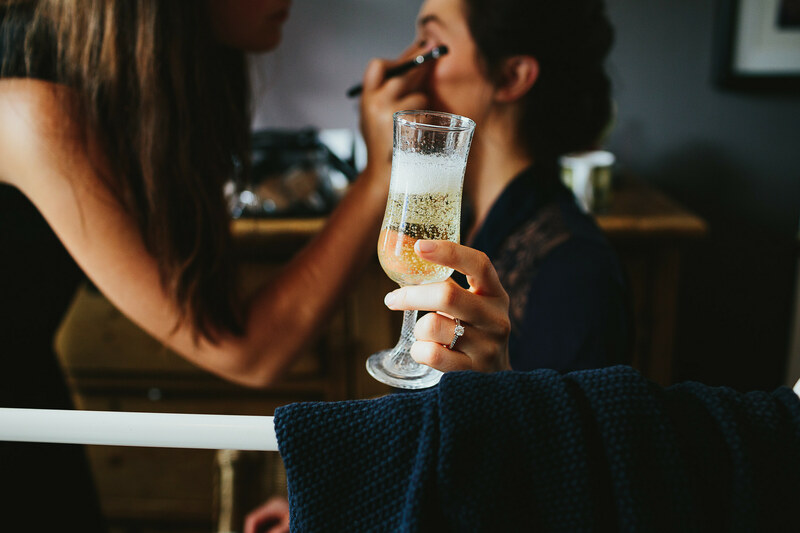 They got ready together in a little cottage nearby in Peckham, before travelling to the register office for an emotional ceremony with their friends and family. 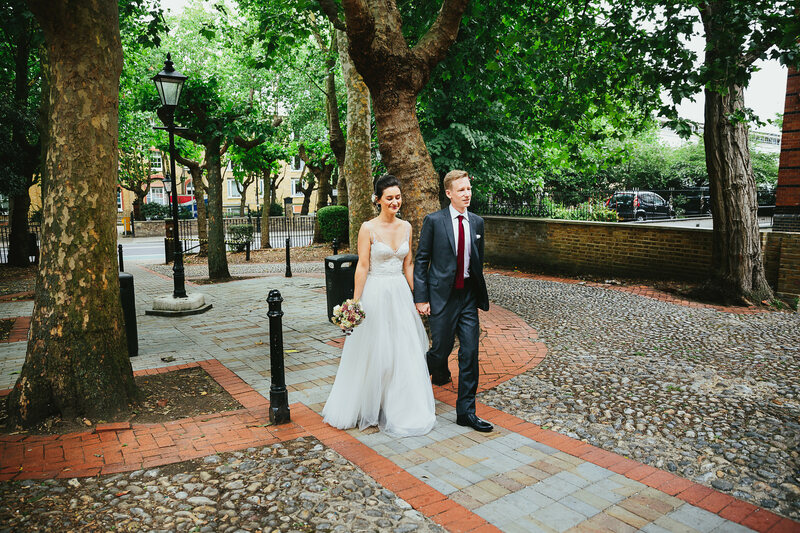 After some group photos in the little garden at the back they left through confetti for portraits around London, just the two of them before I left them and they travelled on to dinner. 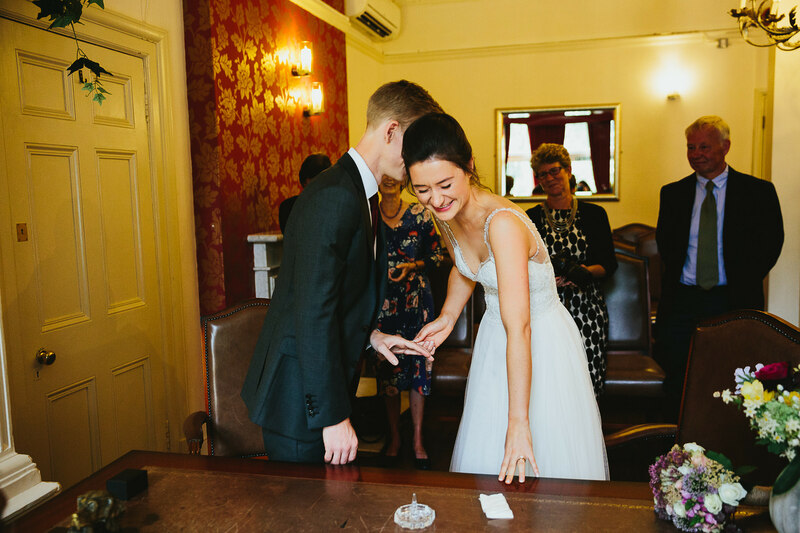 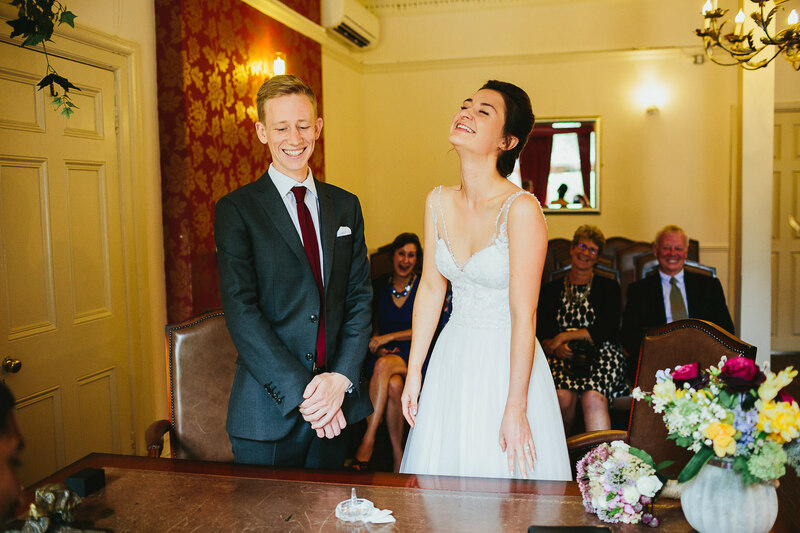 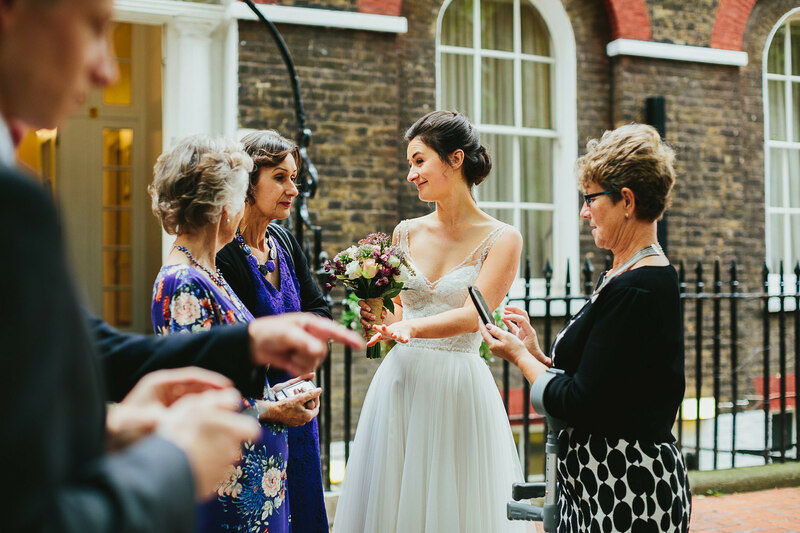 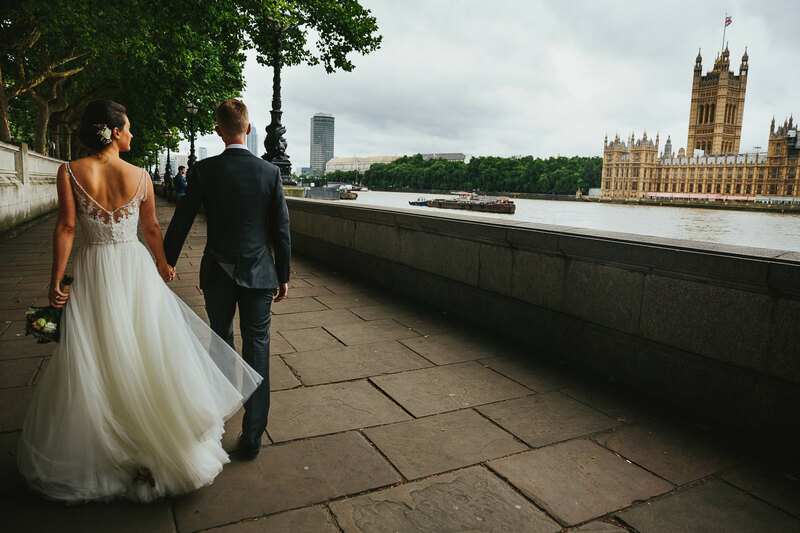 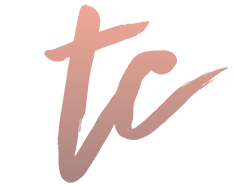 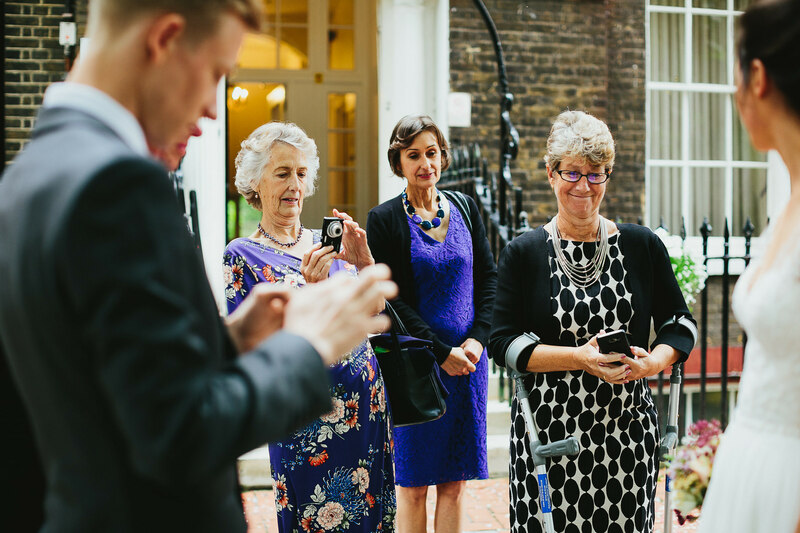 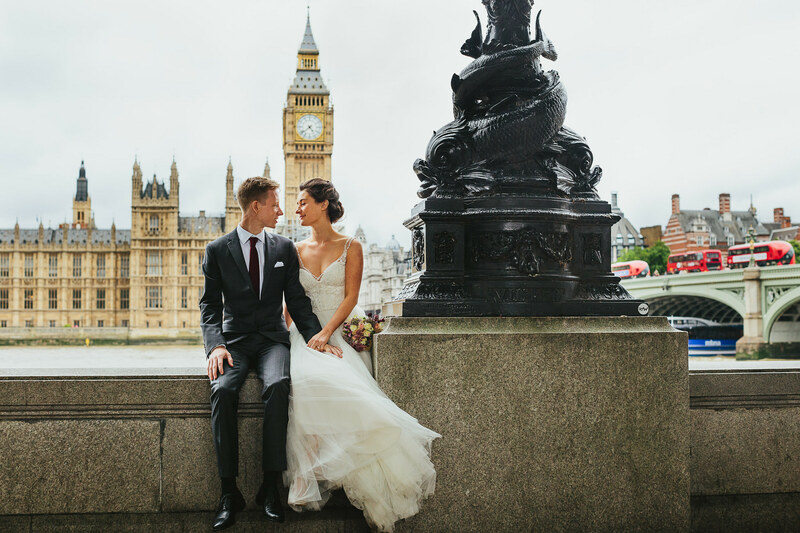 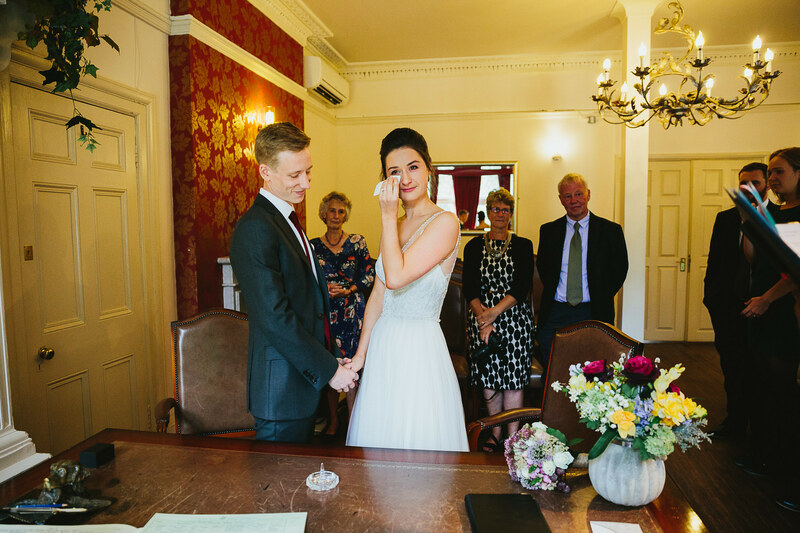 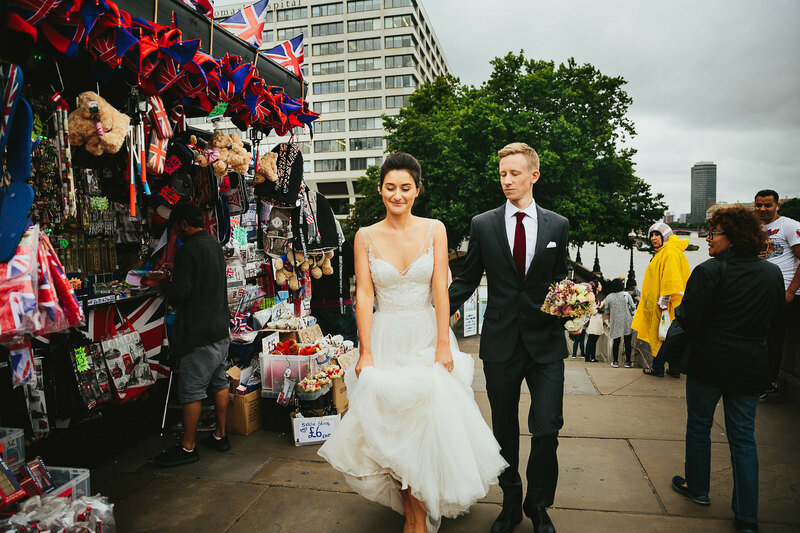 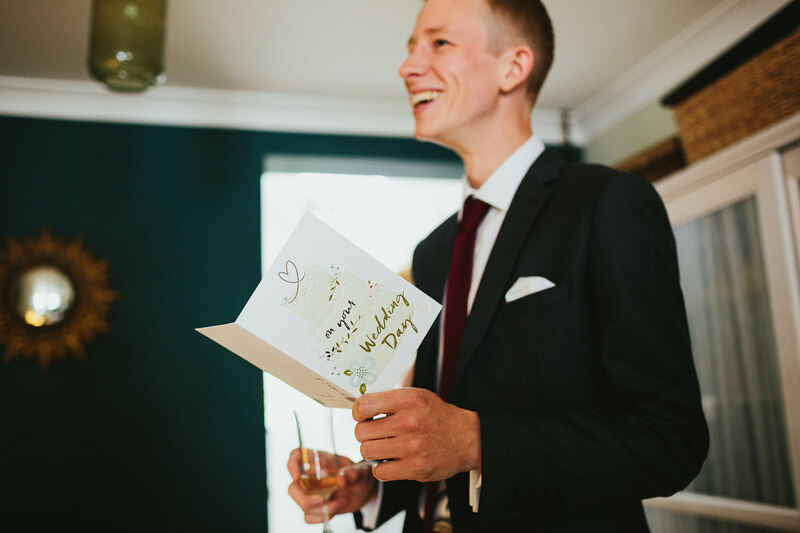 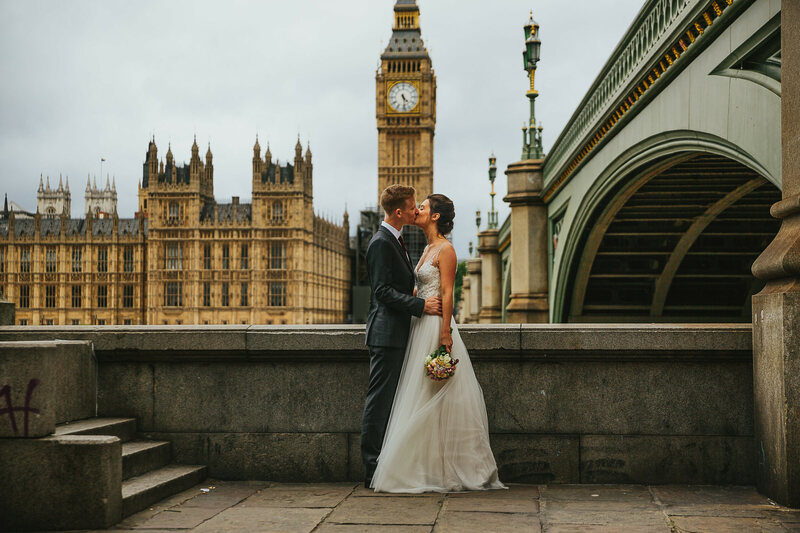 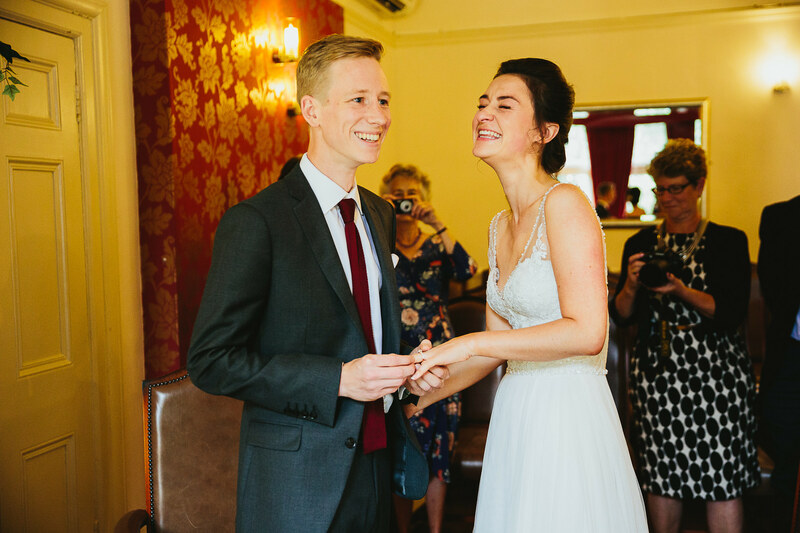 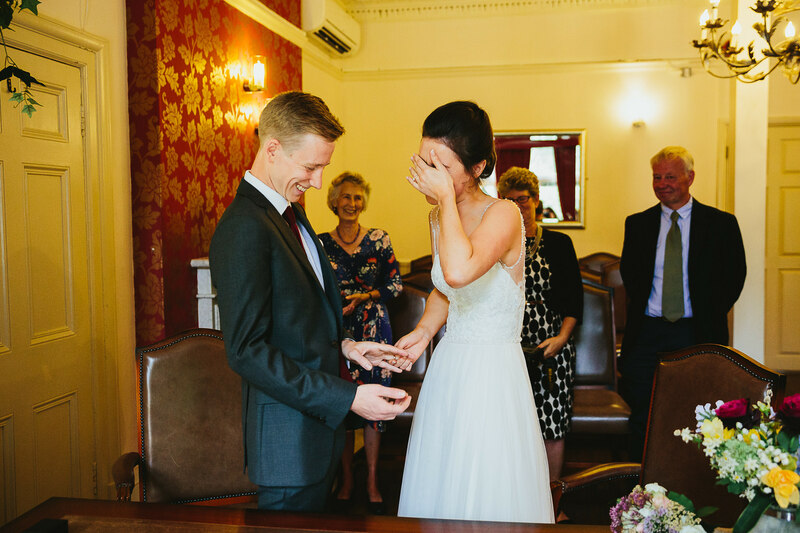 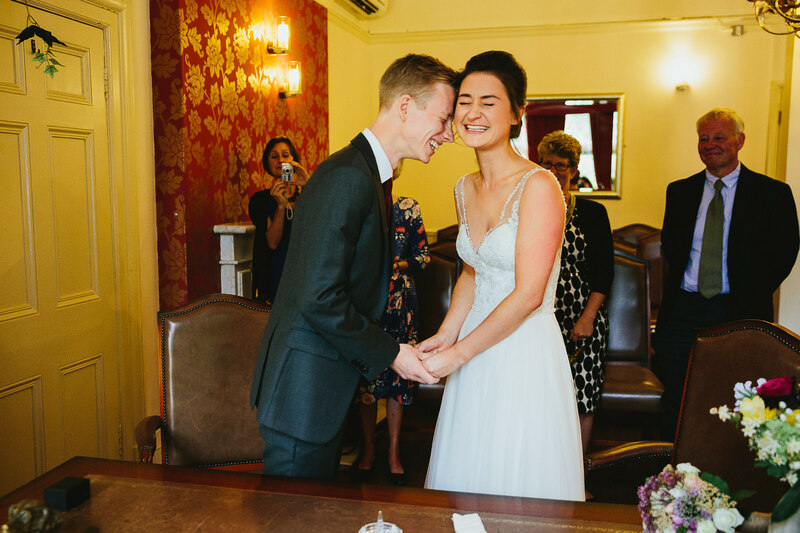 If you’re planning to elope in London just the two of you, or with a smaller wedding group do visit my pricing page, send me an enquiry and I’ll send you over my brochure.